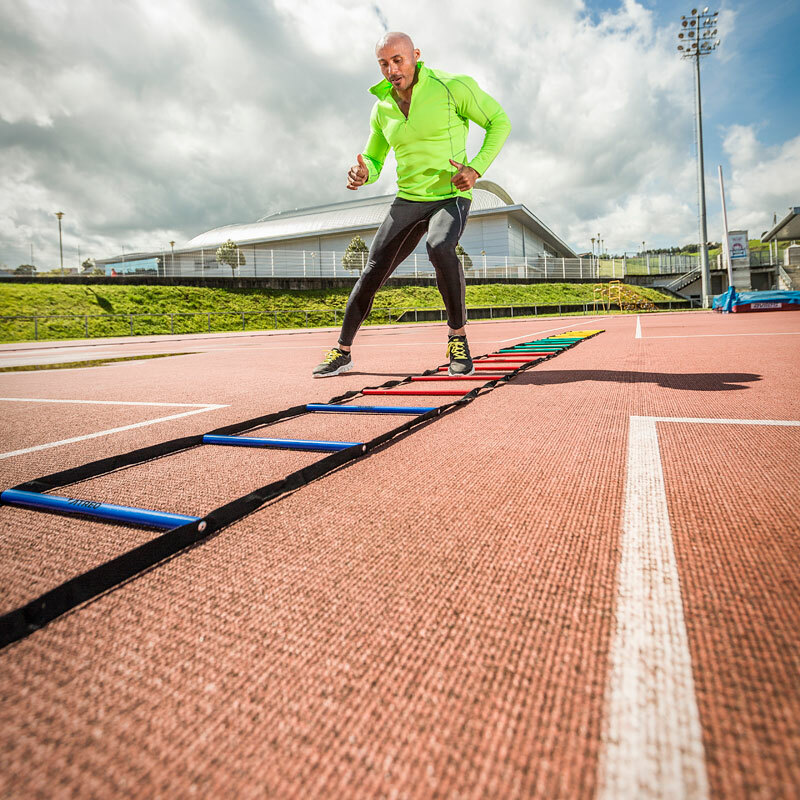 ATREQ Multi Coloured Round Rung Ladder helps improve agility, balance and conditioning. Heavy duty, durable and portable. Each section can be individually placed or joined together by Hook and Loop fasteners to create lengths of four, six or eight metres. The colours allow easy identification of when to change foot drills. A total of 20 round rungs with eash section 45cm x 37cm.